Muddy Waters - ''Live At Rockpalast'' on 2 CDs and on 2 DVDs. See and hear one of the greatest Blues artists ever! Muddy Waters had a great ear for talent and accordingly the formation which you will hear on this DVD was one of the very best: The great pianist Pinetop Perkins , the drummer Willie Big Eyes Smith , the bass player Calvin Jones , the two guitarists Luther Guitar Jr. Johnson and Bob Margolin and the harmonica player Jerry Portnoy. At the Rockpalast recording on December 10, 1978 at Westfalenhalle Dortmund, Muddy Waters still was at the height of his creative power, his mighty vocals and his splendid charisma on stage fascinated the audience. Muddy's guitar playing on the Fender Telecaster especially comes into full effect with his typical slow blues solos - and seldom had Muddy such a hot sound as in this TV recording of the WDR. The song selection of the evening consisted of several of his biggest hits which probably are standard discipline of each evening (Hoochie Coochie Man, Walkin' Thru The Park, a superb version of the macho hymn Mannish Boy and, of course, the immortal Got My Mojo Workin'), but also less performed titles like Soon Forgotten by St. Louis Jimmy Oden or Country Boy, both atmospheric slow blues with slide. 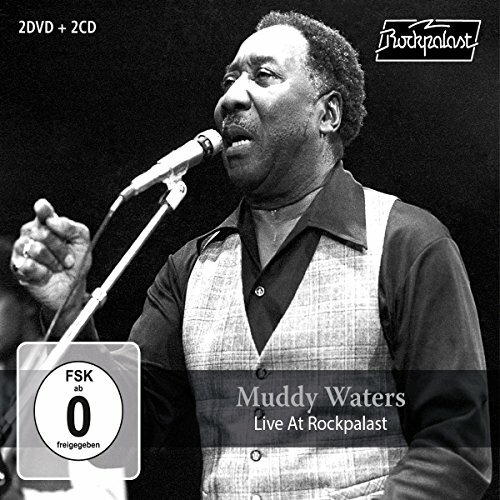 When the Muddy Waters Tribute Band appeared at the Rockpalast Open-Air at the Loreley on June 23, 1996 (bonus content DVD2), the pianist Pinetop Perkins could unfortunately not travel due to medical reasons and Jerry Portnoy was replaced by blues harper Carey Bell who had already played in Muddy's band in early 1970. All band members switch with the vocals and in Gone To Main Street The Band's Levon Helm is to be heard as a guest singer. Naturally, the repertoire consists mainly of Muddy Waters classics but also songs of Jimmy Reed, two titles that have become known through Albert King and one original composition of the drummer Willie Smith were on the set list. If you have any questions about this product by Made in Germany, contact us by completing and submitting the form below. If you are looking for a specif part number, please include it with your message.